Experience and Trust are core values for NAVIRO. We have ample own experience of both leading and operative roles in both small and large organizations. Without that consultancy services tend to become very theoretical. It gives us credibility and a good platform to build trust. NAVIRO is a management consultancy firm and we help companies to develop by providing both Advice & Actions. We provide a wide range of advisory and project management services. We also invest in start-ups and provide certified board members. Read more about it under Our Services! Naviro Consulting AB was founded in 2010 and has 2 employees which is combined with a large network of partners and consultants. This ensures cost effective, accurate and flexible resources, designed specifically for each assignment. NAVIRO is based in the town of Ängelholm in South Sweden. The area has a large mix of companies and industries and almost 5 million inhabitants within 90 minutes driving distance. Copenhagen Airport offers excellent connections to the rest of the world. NAVIRO is active locally, regionally and globally. Customers include both local small companies, regional medium sized companies as well as large international companies. Most of them are B2B focused. Naviro supports the local community and business climate. We are active in Företagarna and support sporty youngsters at FBC Engelholm and outdoor youngsters at Barkåkra Scouts. And we also support global aid work through UNICEF. Naviro is based on the founder Bernt Gunnarsons’ own practical experience of more than 20 years of operative and management positions in small, medium and large organisations. 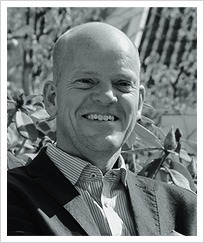 Bernt has worked with a wide range of customers and cultures in most parts of the world. Bernt strives to combine practical experience and well-known tools with a large doze of commitment and honesty. He takes great pride in the trust his customers shows him, often being seen more like an in-house resource than an external consultant. Bernt’s previous work experience includes mechanical design, sales, aftermarket, marketing, project management, M&A, business development, change management and integrations. He held several manager, general manager and director positions in both local and global organisations.